Well then, boy, do I have the island for you! 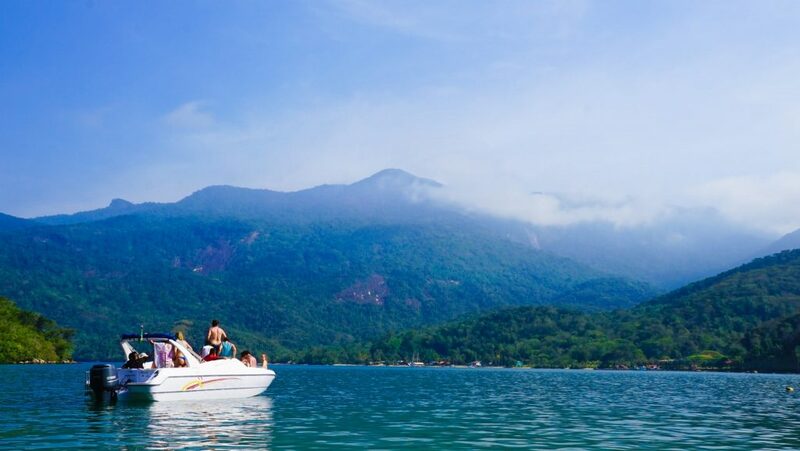 Ilha Grande is a fabulous tropical island located only a few hours bus + boat trip away from Rio de Janeiro on Brazil’s stunning southeast coastline. 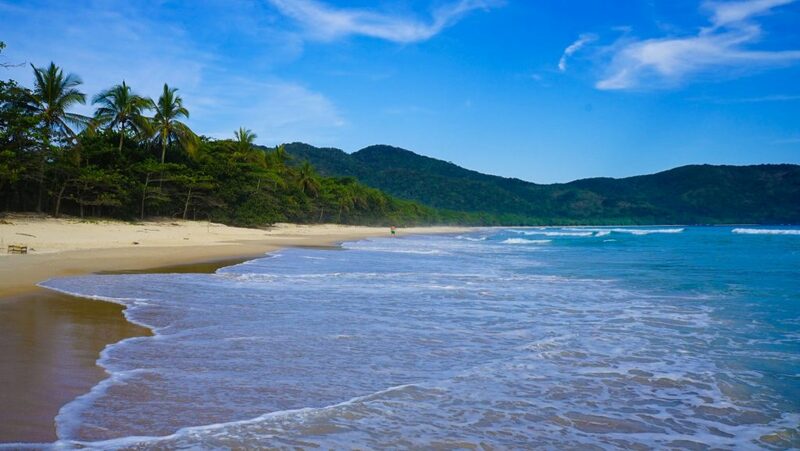 It’s a natural paradise with 99% of the island being covered in natural Atlantic Rainforest and only one small town and a series of paths crisscrossing the dense vegetation leading to deserted beaches. Yes, it sounds like heaven, and that’s because it probably is. 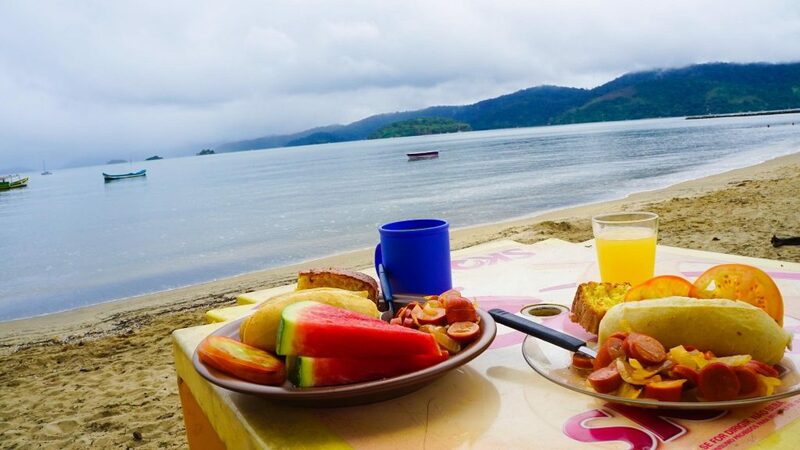 Most people who travel here end up extending their stay but it’s hard to know beforehand if you will like it, and how long you will need, so I have put together a quick Ilha Grande Things to Do guide to help you fall in love with this beautiful place. #1. Go For A Walk! The island is covered in trails that each lead to somewhere new and amazing! On your first day I recommend to pick one and just get exploring. Just what the doctor ordered: cleanse your inside with this anti-oxidant kick! This super-berry is so delicious you won’t believe its good for you, but trust me it is. Mind, body, and soul – rejoice! #3. Make Friends With The Locals. Dogs here seem to be both well looked after and inexplicably without an owner – take good care of them and they may well adopt you for a day. We had plenty join us on hikes and for quiet time at the beach. 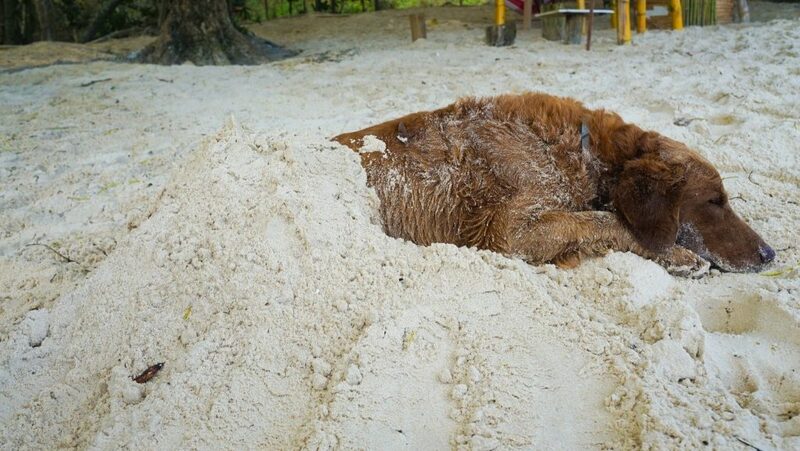 This little guy didn’t mind being buried and we found him again later that night sleeping on the dance floor of the island’s only bar! Not something you see every day! #4. Grab Your Beach Towel For A Day Of Sun And Relaxation. 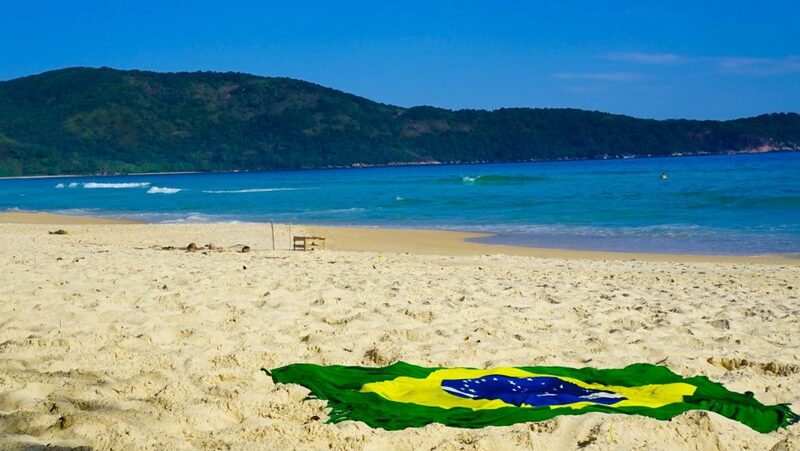 You may never get as naturally tanned as the gorgeous Brazilians, but you can try! Be careful however as the sun is extra strong in these parts – If you’re pale like me you will find solace in the rows of trees which overhang the back of every beach, perfect for people watching. 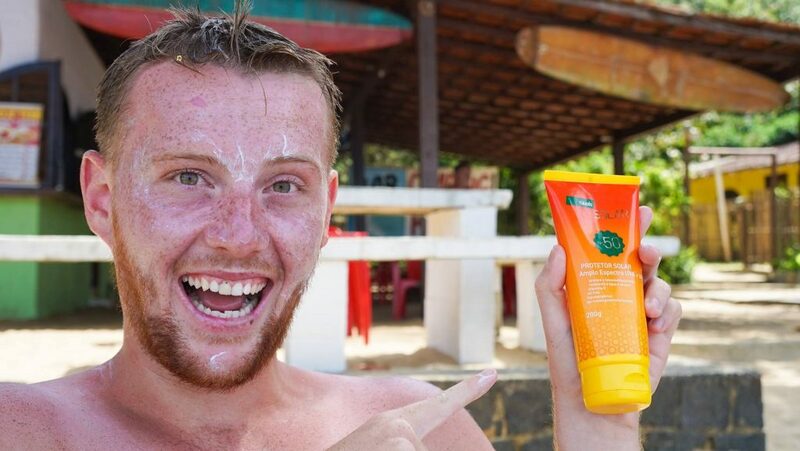 And again – reef-safe sunscreen people. #5. Get Out On The Water. It doesn’t matter where you go, salt air is the cure to all life’s problems. We opted for a half island snorkelling trip (easily organised at any number of shops in the town who offered Ilha Grande boat trips) and loved the sights and wind blowing through our hair. An immediate pick-me-up and a perfect way to spend the day! 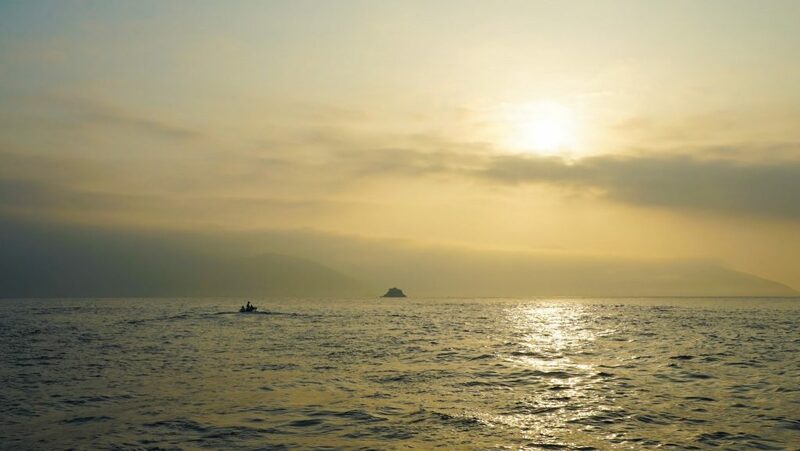 And if you are certified why not try some Ilha Grande diving! This one should be obvious, but the number of people running around trying to see and do it all was incredible. This is a tropical paradise. Just embrace it. Take a day for yourself. Let your inner child out and just enjoy the environment around you… Don’t be so busy! A swing can provide hours of entertainment no matter how old you are. Trust me! I have never been one for this great balancing act but the waves are perfect here and plenty of people are willing to hire you aboard. Get out and give it a go, you might be a natural! #8. Say Hi To The Native Wildlife! There is plenty around as the Atlantic Rainforest has some of the world’s highest biodiversity. 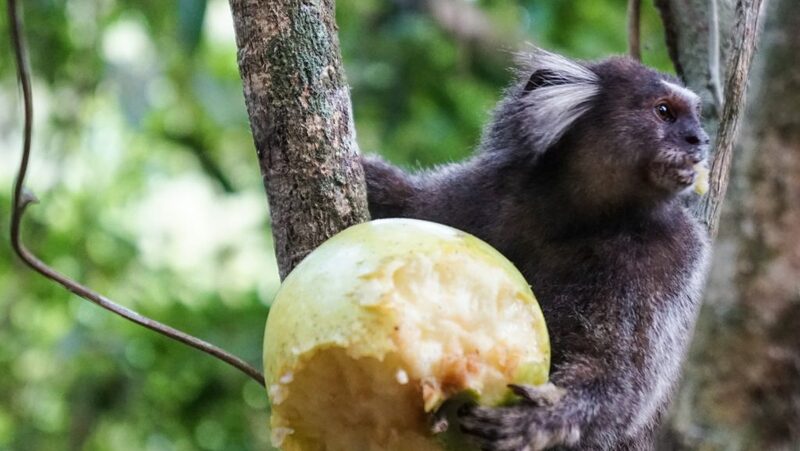 Monkey and hummingbirds are common, but rumour has it sloths also lurk on some of the lesser taken trails. Keep a keen eye out and you never know what you might spot! Any time of day will do and there is plenty of poison to pick! Beer is popular with the younger crowd and of course the ubiquitous Caipirinha! My personal choice would always have to be a Mojito though – nothing like a hot day, some shade and a hint of mint! #10. Go On A Fishing Trip! Definitely not that common a request around town but someone will be eager to provide. 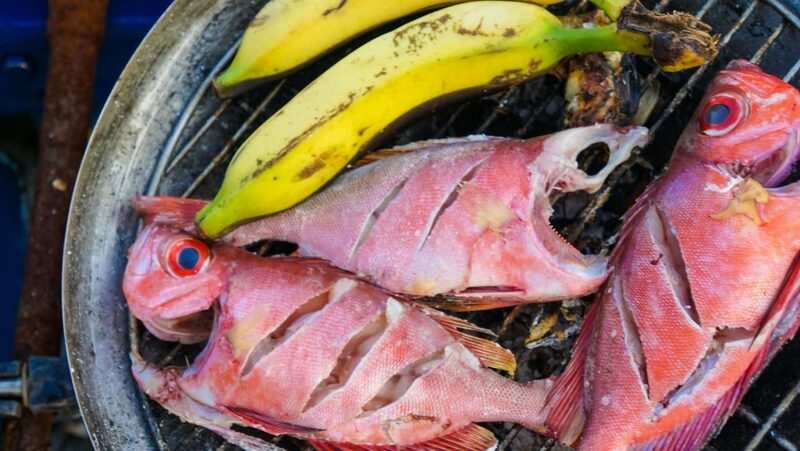 We loved the fresh fish straight from the ocean to the grill, beers on ice, and the relaxed music. 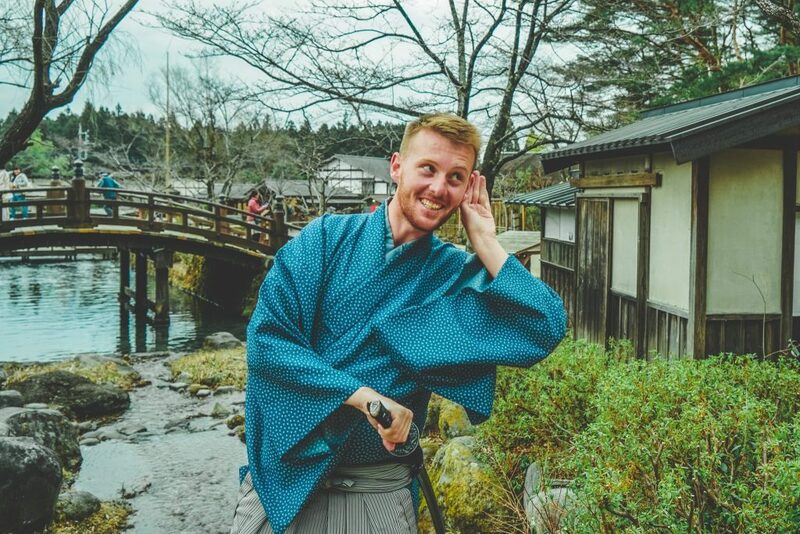 Plus you get to hang with the locals and escape the tourist traps. #11. Get In The Water And Swim! Yes, you had to know this was coming! There are countless beaches scattered around the island. Some easy to get to, some …not so much! 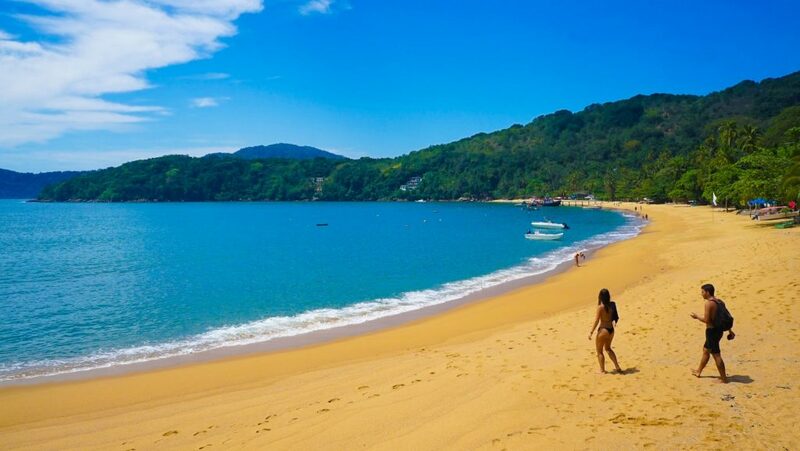 There is a perfect beach for everyone and you have plenty of time to find the fit for you. The water is warm so what are you waiting for! #12. Meet Up With The Travelling Coconut Salesman. Trust me, no matter where you are on the island you will never be far from one of these delicious, refreshing treats. The greatest show on Earth. And free of charge. Who says the best things in life don’t come easily! It should go without saying but take the time to talk to the people you meet at restaurants, on boats, beaches or trails. Memories are so much better when you can share them with new friends and long chats on the beach over a Mojito are the best thing! Plus, travel buddies for onwards journies around Brazil are always welcome. Right? #15. Take In The Solitude! You’re on a largely deserted island with no car’s or noise. Take some time to yourself, find your own private piece of paradise and contemplate the deeper meaning of life…or just take a nap! I know it may seen confusing but it is actually very simple and easy to get from Rio to Ilha Grande! 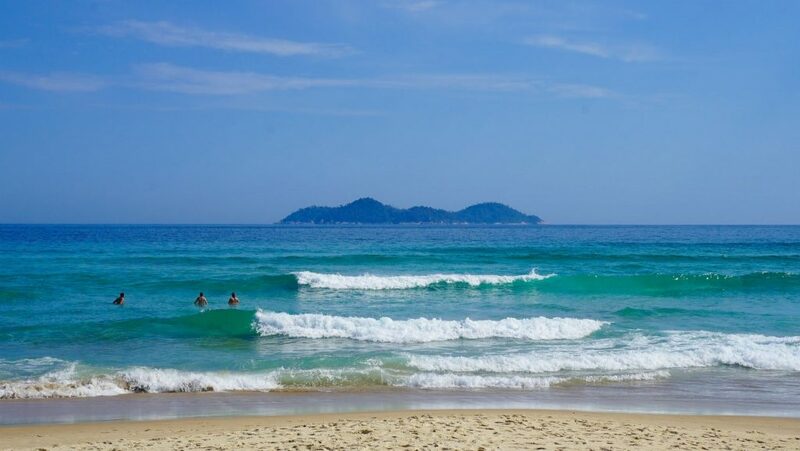 If you are already in in Rio you can actually get here just on a local bus and public ferry, but there are also plenty of daily transfer companies based in Rio if you don’t mind paying a higher price. 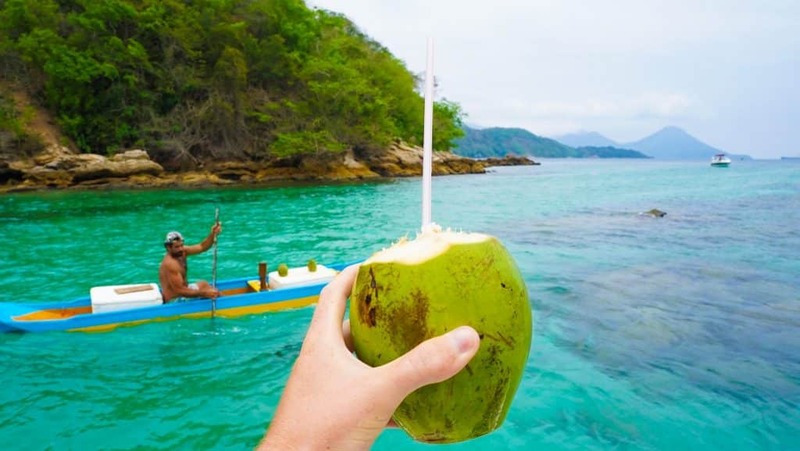 There are three ports for Ilha Grande (Mangaratiba/Jacarei/Angra dos Reis) and all can be reached by taking Costa Verde buses (R$37.50 – $54) from the main bus terminal (Rodoviaria) in Rio – A early departure is recommended to avoid getting stuck (so consider a uber for safety!). 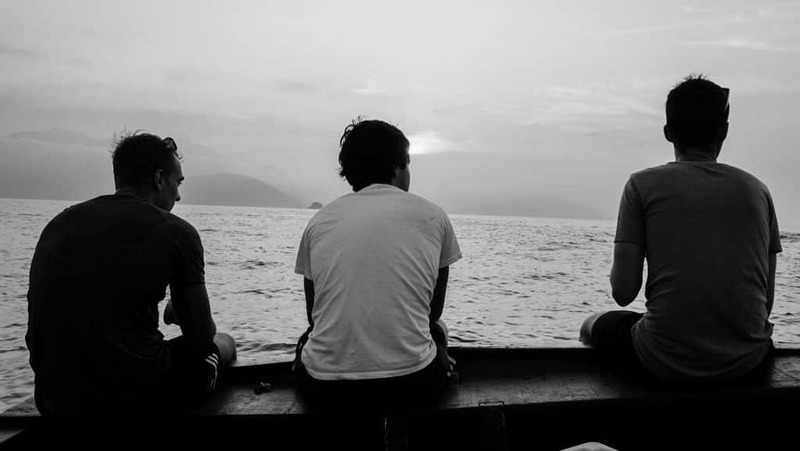 I recommend trying checking in advance the boat schedules but we found it easier to go to Angra dos Reis and catch the daily slow Ilha grande ferry with CCR Barcas at 3.30 pm for R$15 though there are many frequent, faster boats at both Jacare and Angra dos Reis for R$30. Its all very easy and you will be meet by someone as you hope off the bus. 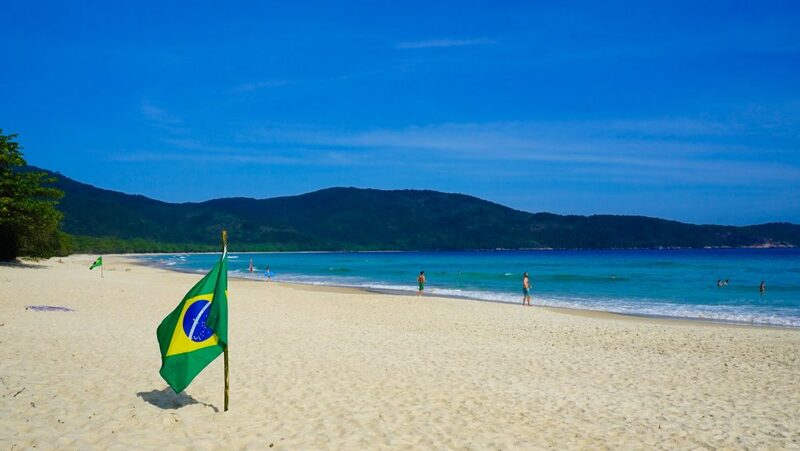 If in doubt just as a local on the bus or group up with other tourists to head from Rio to Ilha Grande together! 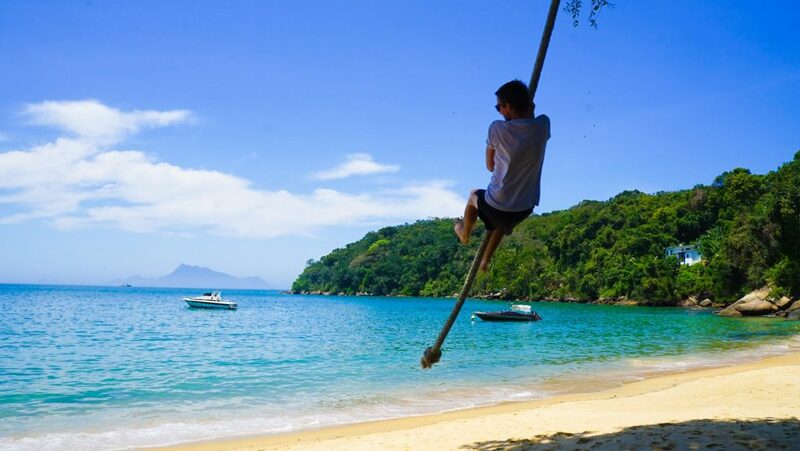 There is also the option through hostels and tour companies of a door-to-island Rio de Janeiro to Ilha Grande package for a van and boat transfer starting at R$100 from touristy places in Rio. We heard very mixed reviews of this and found the bus and boat option from Rio to Ilha Grande to be the best and most flexible! 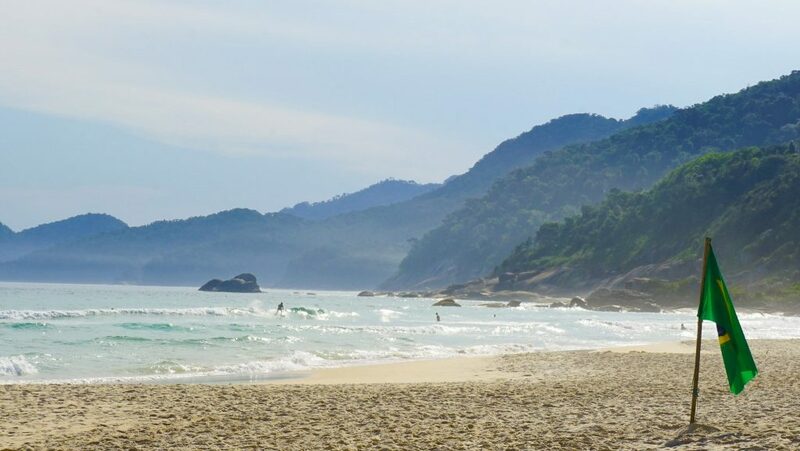 You can also get from Sao Paulo to Ilha Grande by catching the daily bus to Angra dos Reis with Reunidas Paulista and still be in time to catch the Ilha grande ferry. 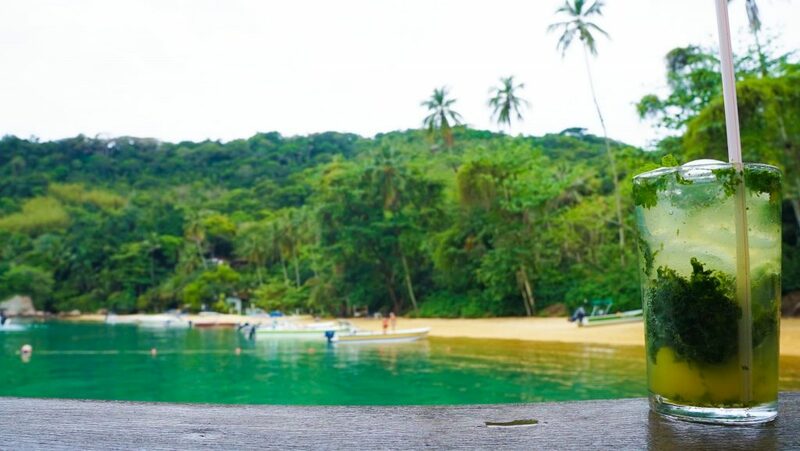 Make sure you have your hotel in Ilha Grande booked in advance and try to get them to meet you at the dock if you have lots of luggage as there is no cars but most places are very walkable! And there you have it! 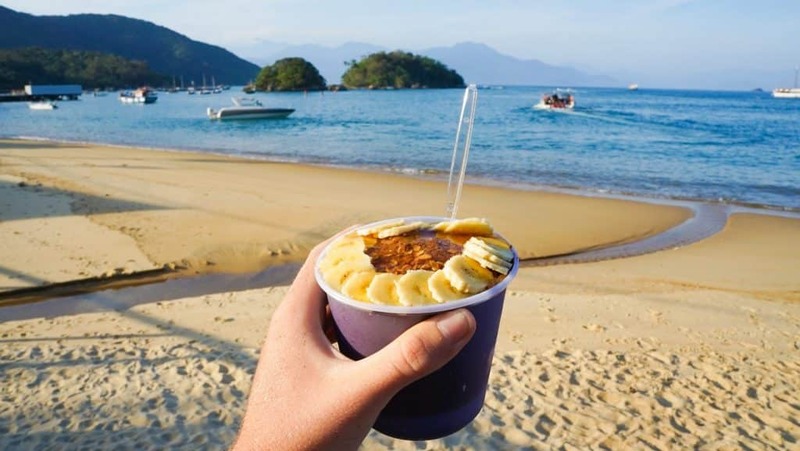 Just a small selection of the amazing things you can do on Brazil’s Ilha Grande Island – and for the most part, you don’t even need any Ilha Grande tours so you can save your backpacking money! Don’t forget to check out some of these other Brazil posts too! 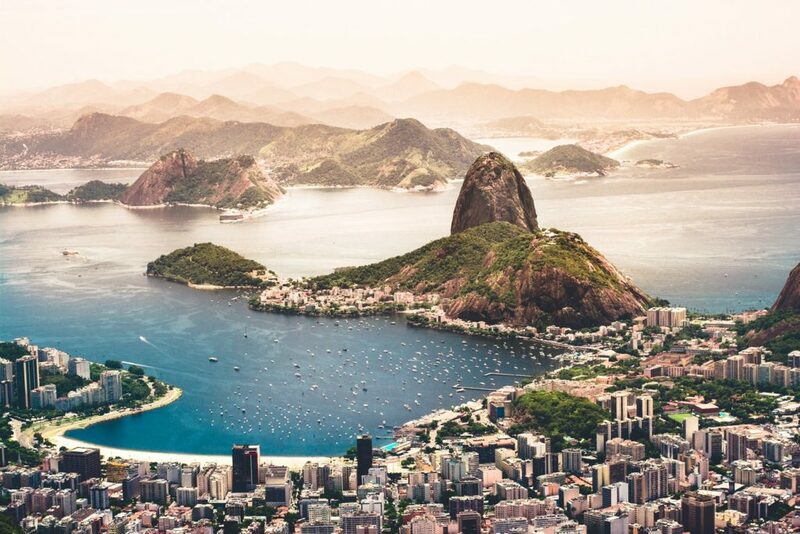 The Best Places to Visit And Things To Do In Brazil!